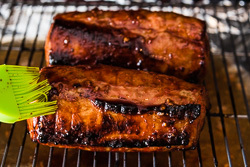 Chinese BBQ Char Siu is the perfect main dish to serve at a party. 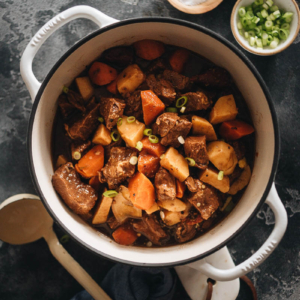 It’s also a great staple to have in your fridge because it’s so versatile and can be used in a variety of other dishes. 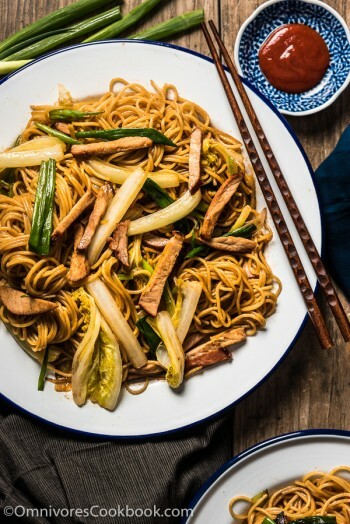 It’s getting time to pick out the main dish for your Chinese New Year dinner party! The Spring Festival golden week starts on February 7th this year. If you’re not familiar with Chinese New Year, we determine New Year’s Day based on the lunisolar calendar, so it falls on a different date each year. The holiday is also known as Lunar New Year. Chinese New Year is about praying for a great start to the year and driving away bad luck. It’s the day that all the family members get together to celebrate a fresh start with a big feast (a bit like Thanksgiving). The celebration starts on New Year’s eve (we call it da nian san shi, which literally means the 30th of the year). It’s the night that we northerners make and eat boiled dumplings while watching the national New Year’s gala. The New Year of 2016 will be a special one for me. After getting married and moving to the US, this will be the first New Year I spend in my new home in Texas. Combining the local BBQ culture with my Chinese culture, I chose to share this Chinese BBQ char siu recipe with you today, to celebrate Chinese New Year! 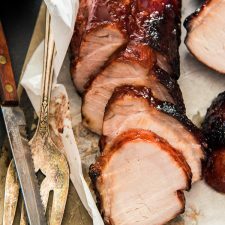 A glorious piece of BBQ pork might look daunting to cook, but once you look at the process, you’ll realize that it is surprisingly easy. 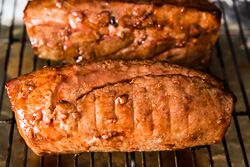 To create a great char siu pork, there are two important steps. 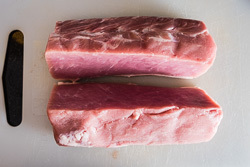 I chose pork loin for my char siu, because it’s economical, produces good results, and is not too fatty. 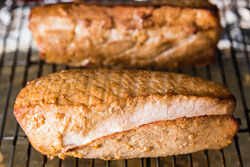 If you’re cooking for a crowd, you can get a whole boneless pork loin from Costco. It cost me just 17 dollars for a 7-pound piece, which is enough for 12 servings. 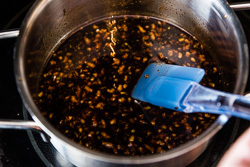 There are many ways to make a char siu marinade. But you need to remember, the foundation of a good char siu marinade is a high quality soy sauce. In this recipe, I chose Kikkoman all-purpose soy sauce. 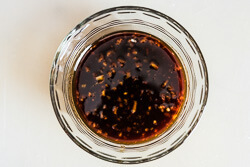 Kikkoman soy sauce is traditionally brewed and a versatile flavor enhancer. Like a fine wine, Kikkoman Soy Sauce is aged for several months to develop its characteristic rich, yet mellow flavor, appetizing aroma, and distinctive reddish-brown color. It’s the perfect soy sauce to use in the char siu recipe. You can easily find Kikkoman soy sauce at lots of supermarkets, such as Walmart and Target. If you are not sure whether there is a supermarket that carries the soy sauce, you can use this product locator to find the closest store. You need to roast the pork at high heat and constantly baste it with marinade to create the glossy look, crispy crust, and juicy texture. 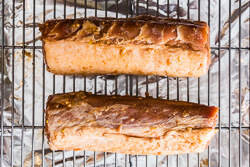 A reliable roasting method will create a sticky and perfectly charred surface without overcooking the pork. After many trials and experiments, I found that roasting the pork under boiler creates the best results (it’s very close to that of char siu pork cooked on the grill). It requires a bit more flipping and supervision, but generates a stickier surface while keeping the pork moist inside. The total roasting time is only 20 to 25 minutes. I like to roast a big batch of char siu on the weekend and use it to cook all sorts of dishes during the week. You can serve cold sliced char siu as an appetizer. You can also use it as a topping for ramen noodles. Or use it as filling in dim sum. Or use it as an ingredient in lo mein, fried rice and fried noodles. 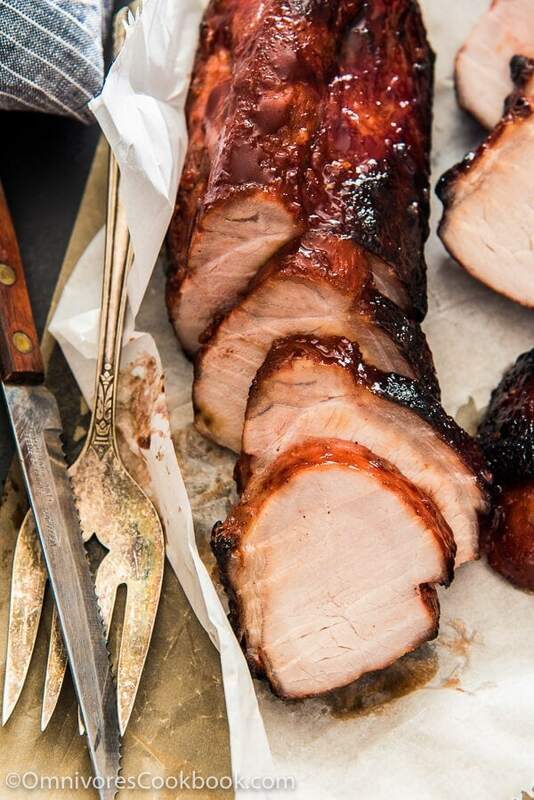 Ready to cook char siu pork to celebrate Chinese New Year? Let’s start cooking! Combine all the ingredients for the marinade in a sauce pan. Heat over medium low heat. Cook and stir occasionally, until the sugar is completely dissolved. Remove the pan from the stove to cool off. Cut the pork along the grain, into 2 strips about 2 inches wide and 1 inch thick. Slice and serve warm or cold. 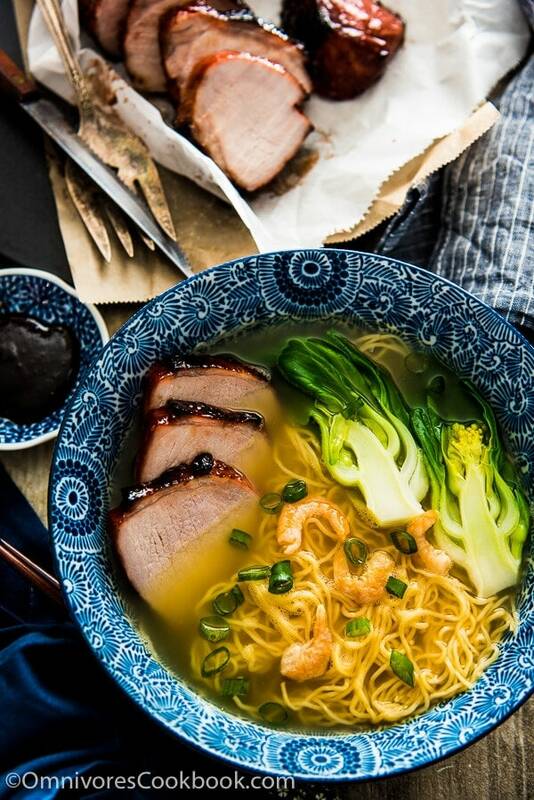 You can serve the char siu by itself over steamed rice, atop noodles, or in other dishes. I love the step by step photos. This recipes looks really do-able! Thanks Maggie. I just printed this one to save. Made a BIG note at the bottom to Refer to Bookmarks: Chinese BBQ Char Siu Maggie to view pictures! Thanks for another Mouth watering Experience!!!! So glad you like this one too Tom 🙂 It’s so easy to cook and you can use the leftover char siu in many dishes! I was excited to see this recipe Maggie! I make Char Siu Bao (only for special occasions like birthdays) as it is a family favorite. 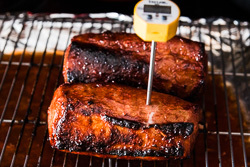 I think the Char Siu recipe I’ve used took longer, though, so I’m pinning yours, and will give it a try next time! 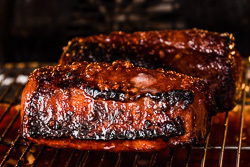 Love this line you wrote, “Combining the local BBQ culture with my Chinese culture, I chose to share this Chinese BBQ char siu recipe with you today, to celebrate Chinese New Year!” So apropos! This looks so good I want to lick my laptop screen and agree, this is so versatile. Happy New Year and thanks Maggie! 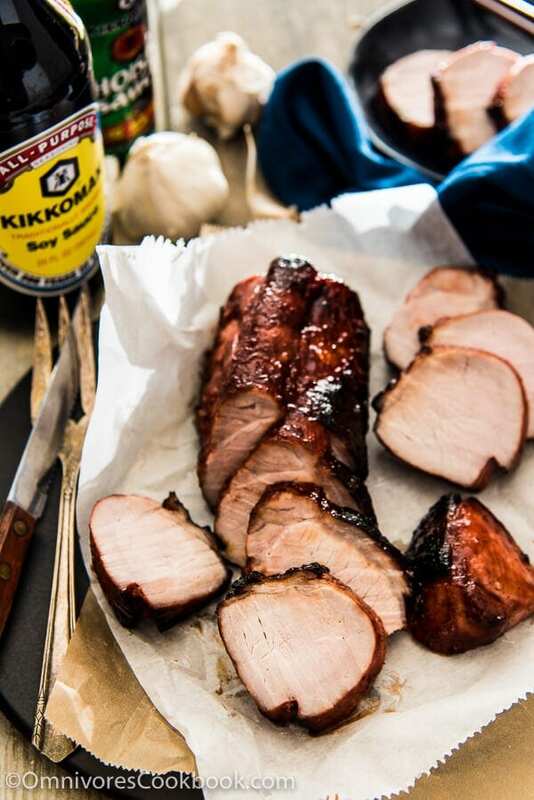 Maggie – Your Char Siu Recipe is the Bomb Diggity. Even my Chinese parents LOVED it. It’s a keeper. Thanks! made this tonight. easier (and better) than my previous method. i think the marinade’s a little better as well. made some veg llo mian to go with it. thanks, maggie!! You’re the most welcome and have a fantastic day! 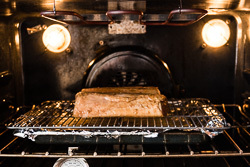 So we should use the broiler, but the pork is not being placed right under the broiler element since it says “Place oven rack in the lower third of the oven,….”? Or is the broiler element in your oven in the bottom of the oven? Thank you! Hi Sarah, the broiler element in my oven is on the top. I turned on the broiler but keep the oven rack very low, because I want the sauce to caramelize during the whole process, while cooking through the pork, and not to burn the surface. I’ve tried several methods for this recipe. I found out if you bake the pork and turn on the broiler at the end, the result wasn’t good enough, since you can only apply the sauce one or two times before it burn the surface. 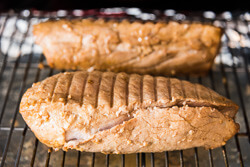 The key is to apply sauce as many times as possible during the roasting, so it forms the coating outside the pork. I hope this is not too confusing! Loved this dish. I have tried different recipes for Char Siu and this is my favorite for the flavor marindade and techniqe of cooking at high temperature. I got a large pork loin on sale and made this in 2 batches. Is it possible to freeze this after it is cooked? Back at the end of the 1970’s when I was a young 40 years old, my wife and my mother thought I should learn to do more than grill beef and stuff.. The book, “The Gourmet Chinese Regional Cookbook” by Calvin and Audrey Lee became my introduction to Chinese cooking..
From the South China section of that book , the very first thing I made was a dish we ordered constantly in our favorite Chinese restaurant.. “Chinese Roast Pork”… I made that recipe and others from that book for many years..
As the years went by I moved on to cooking ‘regular American’ dishes but I remember how wonderful that roasted pork was and how much fun and pride I felt with making the perfect Chinese Roast Pork for family and friends .. When I read your recipe I dug out that first cook book I ever received and looked up the pork recipe.. To my great joy I find that that recipe only differs from yours in a few small ways.. It calls for brown bean sauce (which was very hard to find at the time) instead of hoisin and oyster sauce.. It calls for light brown sugar instead of granulated sugar and I oven roasted it by hanging the pork from the oven rack over a pan of water… Other than that, its like reading that wonderful book all over again, 37 years later..
Hi Ross, thanks for leaving such a detailed comment and share your Chinese food experience! The cookbook sounds amazing. I never expected there was a detailed book on Chinese regional cuisine back then. I just ordered a copy from Amazon and can’t wait to read it! Re hanging the pork in the oven: how you managed to do that? It is actually the proper way that Cantonese restaurants use, with a hook. I can’t find a way to do it so I need to place the pork on the roasting pan. Hopefully you’ll find more Chinese recipes to try out from my blog 😉 Happy cooking and have a great holiday! I was given small hooks by a butcher friend.. You can find them now on in a restaurant supple store or on by searching for ‘small meat hanging hooks’ on Amazon..
Hi Ross, thanks for sharing the tip on how to hang the pork in the oven! The book just arrived a few days ago and I love it! 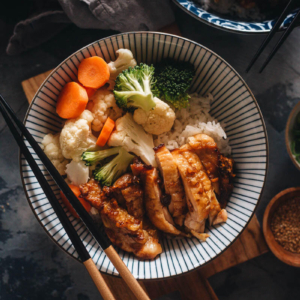 It’s nice to see a Chinese cookbook that covers Chinese cuisine by regions, because each region has so many different cooking habits and signature dishes. I am wondering if you could use pork tenerloin as well. Is a tenderloin too lean for this cooking method? Hi Lila, sorry I just saw your question! Yes you can use a tenderloin for this recipe. It is a tender lean cut, so it will turn out well as long as you don’t over cook it. This recipe looks amazing! I’m doing it right now! 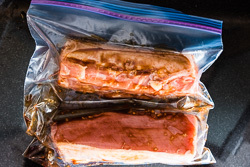 One question, do you know if it’s possible to freeze some of the leftovers? Hi Atia, yes, you can freeze the leftovers without problem! If you have more glaze left, save them as well you can pour them over the char siu while reheat. Happy cooking and hope the dish turns out well! Having chanced upon your site, I was able to cook up a number of selected dishes from your recipes including this BBQ Char Siu. 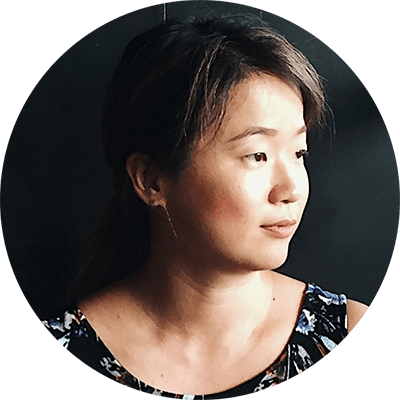 I have stayed and worked in Hong Kong for more than 12 years and are familiar with authentic and aromatic as well as typical and traditional dishes there having had most of my meals in restaurants, tea houses, dim sums and street hawker fares. I loved them all. My favorites are the roasted goose, char siu, cheongfun , tarts, naiwong pao, and braised beef briskets ( gao lum) , etc. I am very impressed with your detailed description and guides on each of your recipe including accompanying sauces and dips, etc. I have also improved my making of dumplings as a result of your guidance on your site. Thank you. May I sign off wishing you and your loved ones, good health, happiness and prosperous year ahead. Hi Kimmy, thanks so much for taking time and leaving a comment! I’ve only been to Hong Kong twice, but me too, I really love the roasted goose and duck, cheongfun, tarts, and beef briskets. I am still trying to learn more about Cantonese cuisine and challenge these dishes at home. Some of the recipes do take some time and effort to make! This recipe is absolutely fabulous. The marinade and cooking method make this recipe a keeper! Yum! Char siu is probably one my absolute favorite things. I put a little spin on the recipe though. Pork tenderloin was on sale so I used that, and rather than the red food coloring, I used a splash of grenadine with some red pepper flakes which made for a nice red/pink halo in each cut. Also threw in a splash of bourbon over the wine, because it was all I had hanging around (next time I’ll make sure I have some proper wine on hand – whether it be sherry or shaoxing), as well as a nice tbsp or so of molasses for good measure. Turned out phenomenal! Will definitely be a staple of my grill from this point forward! I’m glad to hear you like this recipe Rik! Thanks for sharing your knowledge of replacing red food coloring. Me too, I’m not a big fan of using too many chemicals in my food, so I prefer the natural food coloring you said. I think adding bourbon works just as well. I use it too, sometimes vodka, when I ran out of Shaoxing wine. I am making this now. It smells really authentic! What degree range do you recommend cooking this to? I saw that you used a digital meat thermometer. Thank you for all the beautiful and inspiring pictures. Reading through the recipe again, I found the degrees 140 to 150. Then baste for another 5 minutes. I will try to do this. Thank you! The char siu was , wow. I can’t believe it was that quick to cook that. It was messy, but worth making. I made it once as stated in the post. The next time I cheated and added a slathering of the thick commercial Lee Kum Kee Char Siu Sauce in the last 5 minutes. I was wanting that thick sweet sauce you get at chinese bbqs. My oven was not as powerful as yours I think. I could not get that blackened char that I saw in your post. I raised the meat up the second time to 8 inches away from the flame and made sure I selected high broil. Some ovens have low and high. It had more sizzling this time. The family of 6 ate 3 lbs. of that for dinner. Yum. and thank you for sharing! Hi Betty, thanks for letting me know your cooking result! Yes, I admit the cooking requires quite some effort and is messy. That’s the downside of the home oven. I have found that good, quite sweet char siu (aka Chinese BBQ pork) does not need much soy sauce, if any. Nor is 5 spice required. Too many odd flavors…. of ground ginger and also garlic) makes a fine marinade. 2 tbsp of Shaoxing rice cooking wine and a little water to thin just a bit completes the mix. I make enough marinade to nearly cover the meat as it sits fairly crowded into a 6×6 container + lid. I have had great success first slicing the meat in a semi-frozen state (cuts easily and retains its shape) and then holding it together on thin bamboo skewers. That allows the marinade to actually provide great color throughout (using 1/3 – 1/2 tsp of red coloring). Then it’s into the fridge for 20-24 hours! I cut the skewers to length so the assemblies fit into the container. finished product is very tasty; restaurant style, if you will, which is what MOST folks seem to be searching for. Soy sauce just doesn’t do it here, at least not much of it; perhaps a tbsp if any. 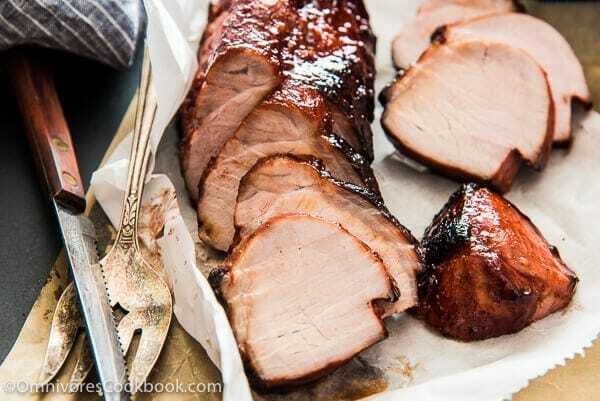 Pork when cooked has a good flavor all on its own, and this famous appetizer is no good if not sweet; honey and sugar are the keys, otherwise one is just making spicy, dull tasting pork. Try it, you’ll like it….I have photos if you wish to see…. from the marinade to penetrate whole chunks of pork…. They are holding back, not telling the entire story I fear…. bunch; not bright red, but probably a few drops of red and a drop of blue. Also, I have the book mentioned in another comment “The Gourmet Chinese Regional Cookbook” by Calvin and Audrey Lee, copyright 1976, given to me by my Mom! 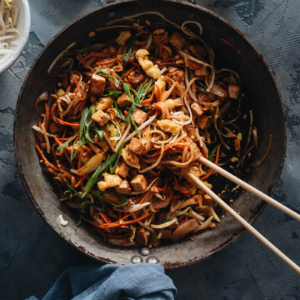 I’ve used many of the stir fry recipes over the years and earned how to do Chinese stir fry from these recipes! Also enjoyed the informative history about the various regions and cooking styles. About 2 or 3 years ago I started rereading it since my son is living in Shanghai and wanted to learn about cooking there. It’s amazing how so much of the book is still so current! The only thing changed is that Chinese products are so much more available! Thank you for all the information and recipes on your website! Looking forward to trying new things and learning! Hi Phyllis, thanks so much for leaving such a thoughtful comment and I’m so happy to hear you enjoyed the dish! It’s really smart of you to cook a big batch. I believe the meat freezes well so no worries there. I love to add them into fried rice, noodles and stir fried veggies. It is just a great way to make a fast meal with lots of veggies. Hope you have a great week ahead and can’t wait to hear what you’ll cook the next! Just a follow-up to my Feb 1, 2018 post… After making 2 port tenderloins (1 lb. each) I cut up the second one into strips (as in pork lo mein) and froze in 3 portion separate baggies. The next couple of times I made lo mein, and stir fried veggies, I took a baggie out of freezer and let it defrost a bit, then threw in towards the end of stir frying to warm up with rest of dish. It was perfect!! It’s great to know you have something handy like this in the freezer, so I’ll do the same thing next time I make this recipe! Maggie, thank you for your description of making char suit. I am making some today. I live near El Paso and there are NO decent Chinese restauranfs here. My niece just made your Char Siu for me, and I loved it! I will make it for my family this weekend, and I anticipate their delight. Thank you for sharing your recipes with the world.